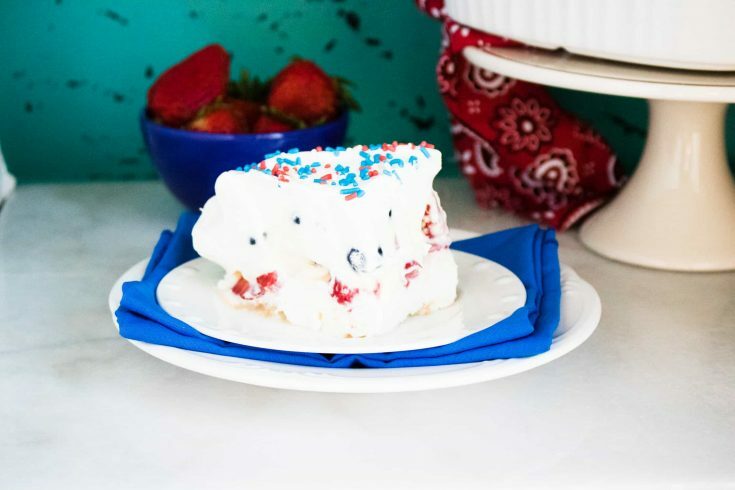 I can’t think of a better way to celebrate the 4th of July than by digging into this Red White & Blue Dessert Lasagna. Now don’t worry, this isn’t some crazy mixture of lasagna noodles, frosting and sprinkles. Dessert lasagna takes the same layering approach as savory lasagna and turns it into a sweet treat. Like traditional lasagna, dessert lasagna is a great dish to feed a crowd. You layer all the ingredients in a large pan, let it chill, and then serve. This recipe takes the layered approach of lasagna and turns it on its head by using creamy whipped topping, fresh berries, vanilla pudding and Nilla Wafers. 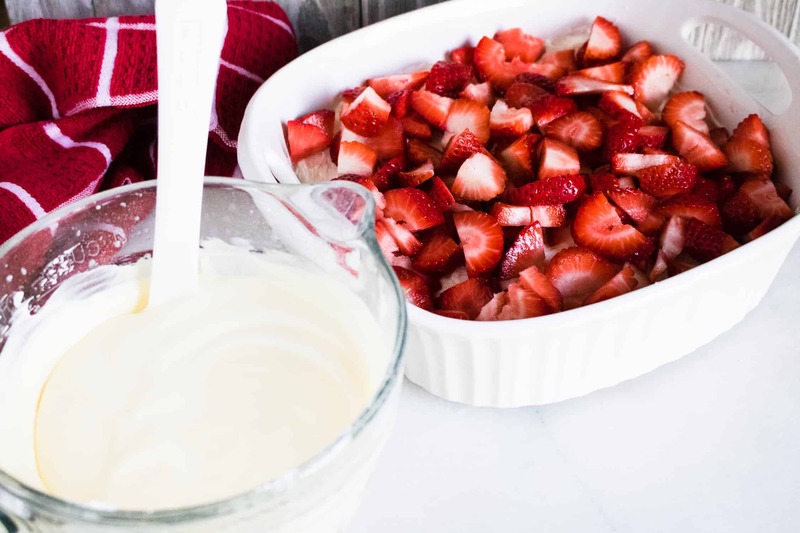 All of these layers come together to make a fresh and festive summer dessert that is sure to please your partying crowd. 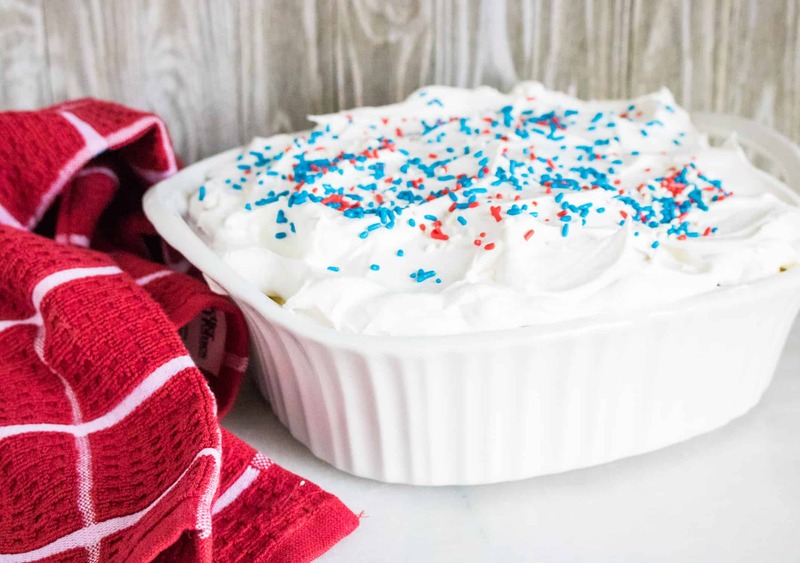 Red White & Blue Dessert Lasagna is the perfect patriotic treat for your 4th of July celebration, since strawberries and blueberries are at peak season, and also just happen to come in our nation’s colors. 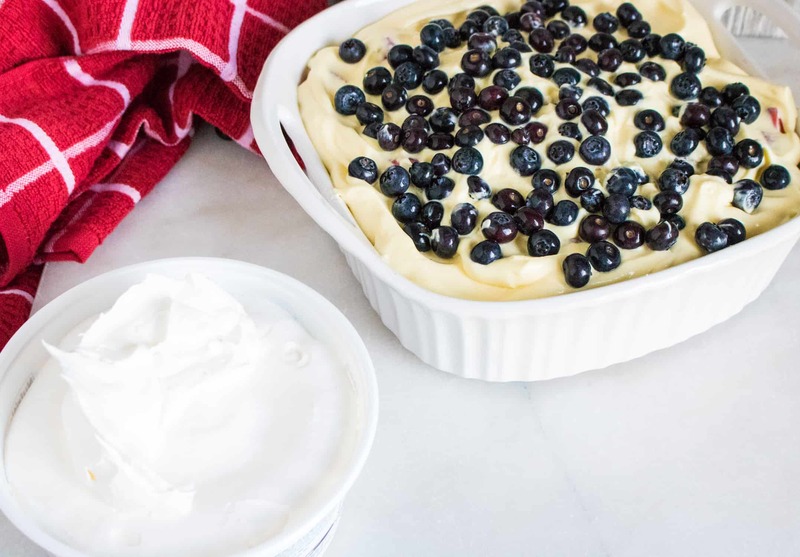 What could be better than layering all those beautiful red and blue berries with white whipped cream and adding a few festive sprinkles on top? According to Wikipedia, the recipe for Vanilla Wafers came from a German confectioner named Gustav A. Mayer, who owned a shop on Staten Island. In 1898 he sold his recipe to Nabisco, who began producing the cookie that later came to be known as “Nilla Wafers”. These sweet vanilla-flavored cookies went on to become a staple in Southern cooking. 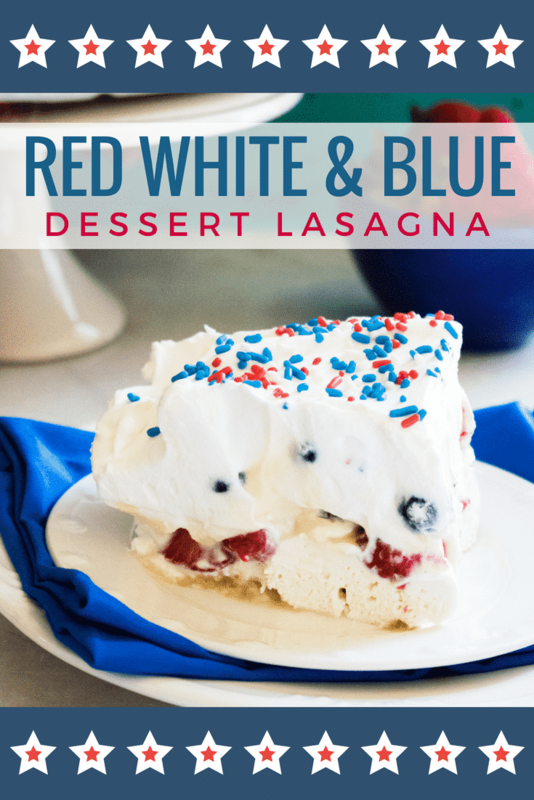 They make a great addition to Red White & Blue Dessert Lasagna, thanks to their ability to absorb liquid without becoming too soggy or mushy. They add excellent flavor and texture to layered desserts, and are most commonly included in banana pudding recipes. Line the bottom of an 8×8 inch pan with Nilla wafers. Mix together cream cheese, 2 tablespoons milk, powdered sugar, vanilla and 1 cup of whipped topping. Spread this layer out carefully over the Nilla wafers. 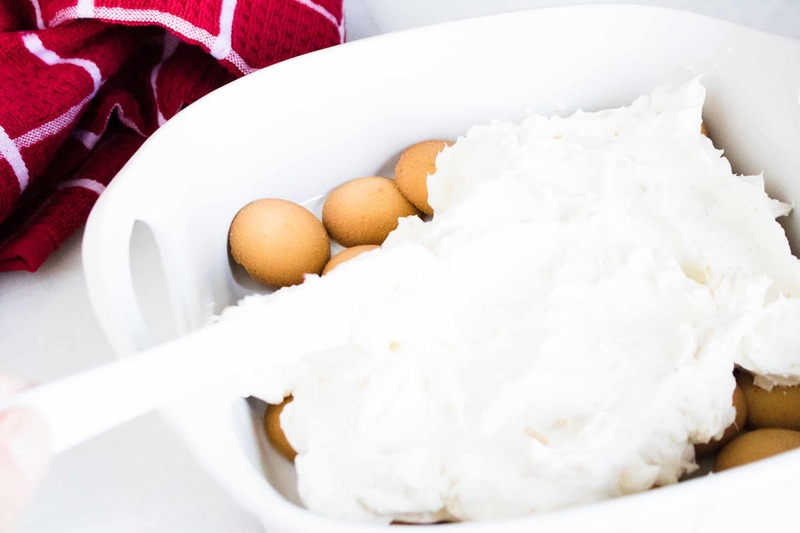 In a medium bowl, mix together milk with pudding mix and another cup whipped topping until smooth. Spread this out over the strawberries and then top the pudding layer with blueberries. Next, add the remaining whipped topping to the top of the lasagna. Finish the dessert off with sprinkles. Chill for 4 hours or overnight before serving, and enjoy! 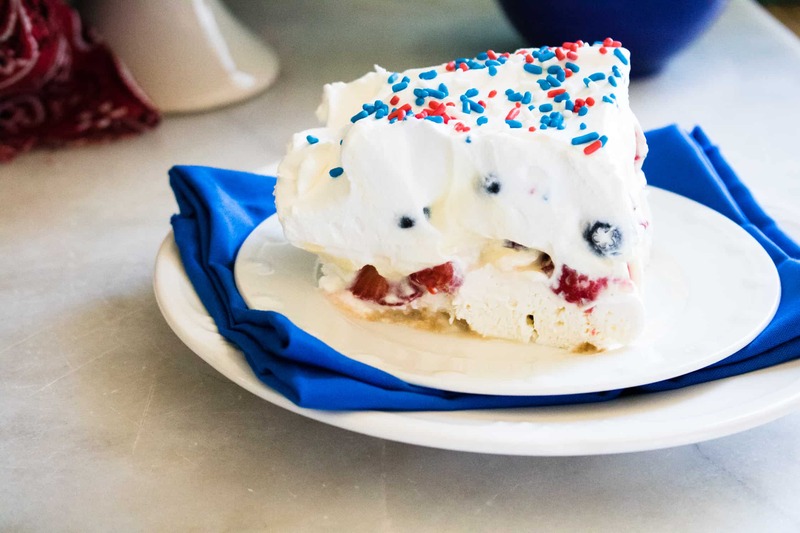 Celebrate the 4th of July with this fun and festive sweet spin on the Italian classic. Line the bottom of an 8x8 inch pan with Nilla wafers.